Aug 12th 2017 Greg P.
Pretreatment for Automotive Paint Applications, Preparation is key. Using LA Decon+ Foam Wash mix 1-2 oz with 2-3 gallons of clean water in a wash bucket or foam gun. LA Prep Wash is an environmentally friendly degreasing and wax free foaming wash. Wash surface as normal from top to bottom and front to back using only quality microfiber wash mits or sponges. Using LA FALLOUT spray entire vehicle to remove iron filings and contaminants. Let stand for 1-2 minutes. FALLOUT turns purple where it is reacting with iron contaminants. If clay baring is necessary this is the time to do so. *IF PAINT CORRECTIONS ARE NEEDED THIS IS THE TIME TO REPAIR THEM. 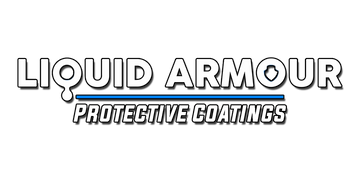 See our Paint Corrections Guide post) ONCE THE Liquid Armour 9H NANO PROTECTION IS APPLIED IT CAN ONLY BE REMOVED BY MACHINE COMPOUNDING OR WET SANDING! Using LA Degreaser+ spray each area that is to be coated to remove any remaining residue or wax that is remaining. Use quality microfiber towels that will not scratch the surface to remove residue. This is the final step before proceeding to application of protective coating. Wrap the included microfiber application cloth around the applicator sponge. - If coating a whole car we suggest starting with the hood, then roof, trunk, rear and front bumpers, side panels and doors, then finally the mirrors. See our application video for more details. TIP: Apply in 2'×2' (60cm x 60cm) sections. 1. Drip 4 to 5 few drops of Liquid Armour 9H Nano coating on the microfiber cloth and lightly apply it on the car paint evenly by using a cross hatch pattern (horizontally then vertically). 2. Wait 1-3 minutes depending on the temperature of the working environment. You will see a faint separation or "flash" when it is ready for the next step. 3. Using the provided 400GSM clean lint free microfiber towel gently wipe the treated areas in straight lines to remove any excess coating and to level out any "high spots". Use only very! very! light pressure, just enough to keep the microfiber towel in your hand. Do Not Create Excess Friction. 4. Next flip to clean high pile side of microfiber and repeat the buffing again. . Again, use only very! very! Light Pressure, just enough to keep the microfiber towel in your hand. Do Not Create Excess Friction. 5. Final Check the panel for excess coating or "high spots" and lightly even out the coating. *DO NOT WET OR TOUCH THE PAINT WORK WITH FOR 24 HOURS. We suggest not using the vehicle for 24 hours after coating. DO NOT WASH FOR 7 DAYS!! to allow for max cure and hardness.